125 Lukie Points will be rewarded to you when you buy this. 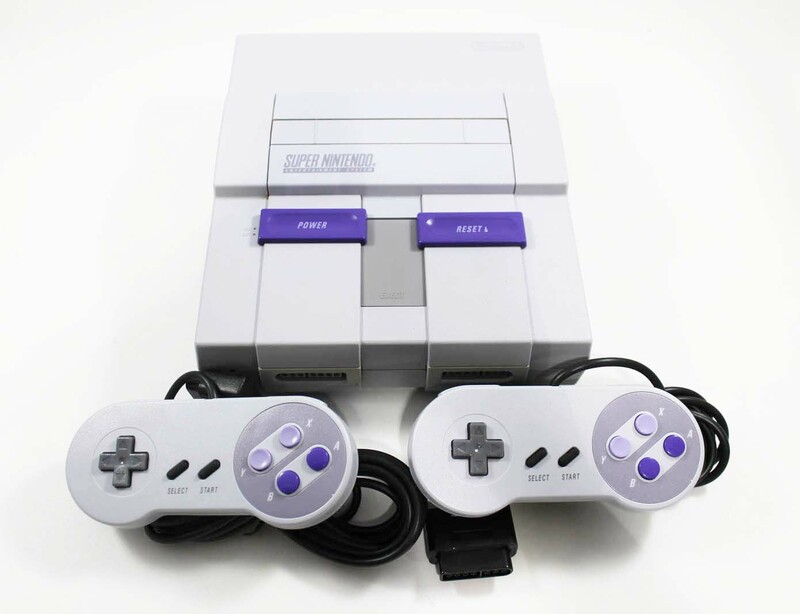 Original Super Nintendo system in GREAT condition with a 1 year warranty! Perfect Condition. We are having a blast! ! I want to thank Lukie Games for the SNES console. It was very much in great condition and works. I am very happy to add this to my collection and regret having sold my original years ago. The unit was in great condition and games started up with no issues. Someone said it best and that is "You just can't beat the old classics." Good purchase! At the beginning I had problems to load games and I tought it didn't work properly but after examining other games, it appears that it was the two cartridges that were the problem. I play with it everyday with several games and they all work very well. It was finally a very good purchase. The device is in excellent condition, but the component cable was defective. Lucky enough, I have extra cables for my systems. So everything works now. It looks new works awesome. No complaints. It’s truly an awesome experience to go back in time and play a gaming system that works perfectly and brings a smile to my face each and every time I turn it on! I received the console in great condition, very carefully packaged, working perfectly. The delivery was iffy, however. It took much longer than expected because the item was held in customs for a while, and on top of that I had to pay an extra 24$ for customs fees I don't think I was ever warned about. In the end I am still satisfied in the product, but in the futute, if I have to pay extra customs fees on top of delivery, I'd like to be told about it in a more explicit fashion. System arrived fast and in great condition. My family and I have played games on it without any issues. Will continue to purchase from Lukie Games. I got this for my boyfriend for his birthday. And he LOVES it!!! He was almost in tears when he opened it. The console was in excellent condition, no yellowing or scratches. We are very pleased with this purchase. 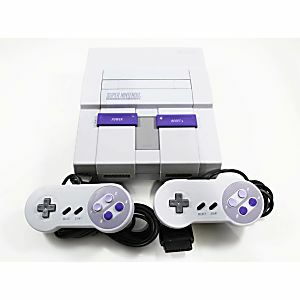 I ordered a Super Nintendo for my husband the week of Christmas with 2 day shipping. Lukie Games sent the system in near perfect condition and it arrived to my house on Saturday before Christmas. It works very well, including the controllers. I couldn't have asked for better service. Thanks and keep up the great work Lukie Games!